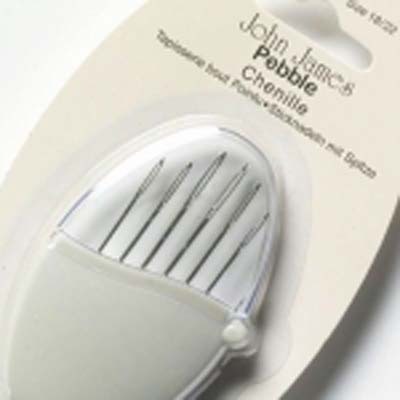 Chenille Pebble. Misty grey pebble containing size 18 to 22 chenille needle. The needles have large eyes and sharp points. Contains 6 needles. 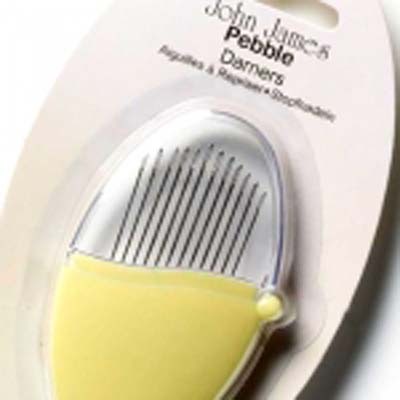 Embroidery Pebble Size 5 to 10 sharp embroidery needles with long eyes. 16 needles in a dusky pink pebble. 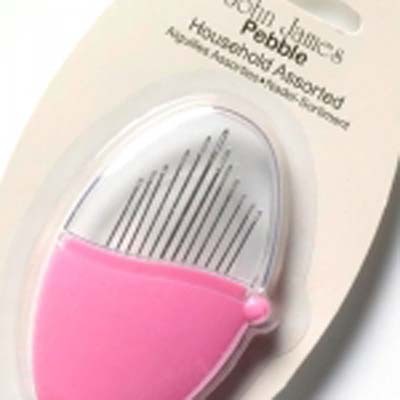 Household Pebble. 12 needles of an assorted range for all sewing needs. Comes in a pink pebble. 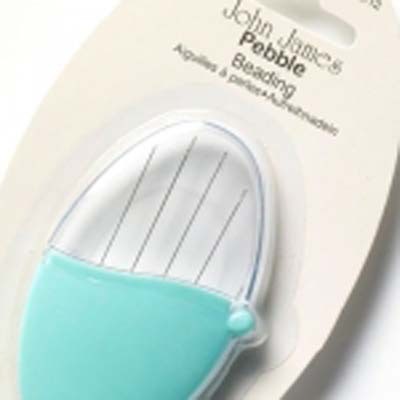 Quilting Pebble. Size 3 to 9 short fine quality quilting needles with round eyes. 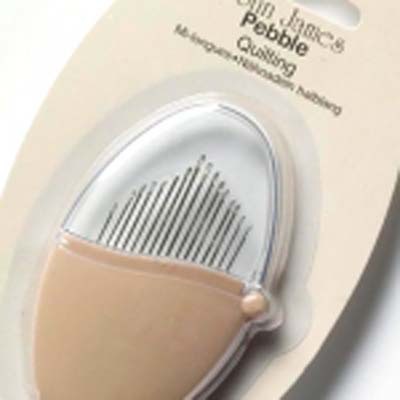 This light fawn coloured pebble contains 16 needles. 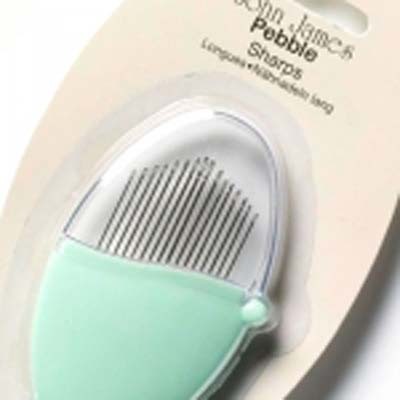 Sharps Pebble General purpose sewing needles with sharp points in a peppermint green pebble. Contains 16 needles, size 3 to 9. Tapestry Pebble. 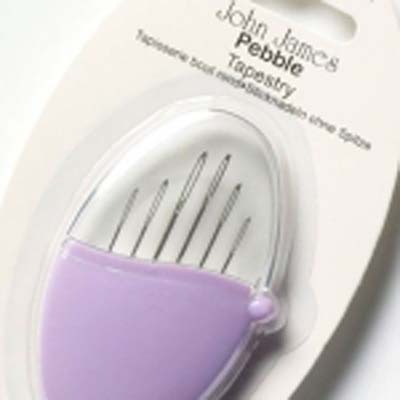 Size 18 to 24 tapestry needles with large eyes and blunt end in a pretty lavender pebble. Contains 6 needles.